The Model 721 combines the simplicity and familiarity of digital clamp-ons with critical information on power quality and harmonics. Operation is simple and direct, with no menus, calculations or complex analyzer procedures. Select Amps or Volts on the rotary dial, connect, and measure. The push of a button gives additional information. 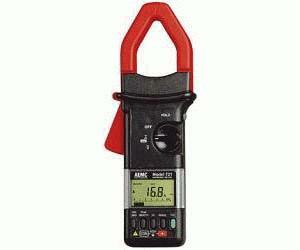 You can troubleshoot and measure power quality with the ease of using a digital clamp-on - simply, safely, and economically.